The Hobbit: The Desolation of Smaug claimed a double win the other night at the 2014 Empire Awards. Peter Jackson’s second movie in his Hobbit trilogy not only scored the award for Best Sci-Fi/Fantasy, it also helped Aidan Turner (who you undoubtedly know from the role of Kili) win the Best Male Newcomer prize, edging out the likes of Barkhad Abdi (“Captain Phillips”) and Will Poulter (“We’re The Millers”). 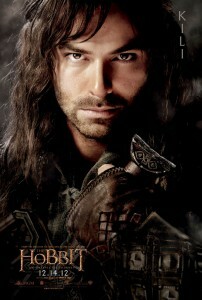 Congrats to Aidan Turner! Follow the link for the complete list of winners.